Over the next few years, Facebook is poised to become a decisive factor in hotel bookings and recommendations. In order for hotels to leverage Facebook to its fullest potential, they must offer the capability to research all aspects of the hotel right on the property’s Facebook page. The best way to accomplish this is by developing a Facebook app. HotelMarketing.com offered the following suggestions for what should be included in a hotel’s Facebook app. First, a hotel should focus its online marketing on making it easy for travelers to take a closer look at the property. Let users get a glimpse of the guest rooms and take a tour of the hotel through a variety of high-quality photos. Feel free to re-purpose content that has been used on the hotel website, in other online forums, or in promotional materials. This can be easily done directly through the hotel’s Facebook app, which can automatically reformat relevant content and publish it to the hotel’s Facebook page. Next, provide the tools travelers need to check room rates and availability for their desired travel dates. Include a calendar overview that shows a longer-term view of the hotel’s rates and availabilities so travelers can schedule trips for much later dates. 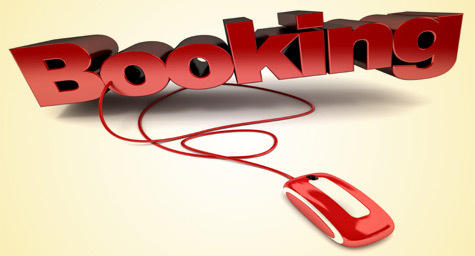 Finally, make the booking process fast, simple and convenient. Be sure that the functionality is user-friendly and optimized for all viewing devices. This is especially important in today’s highly competitive hotel market. After all, a frustrated prospect can easily look and book elsewhere. At MDG, our 360° marketing approach uses just the right mix of traditional and online media to reach your hospitality marketing goals. While some industries may fare better on TV and others on Facebook, we strive to create an integrated campaign where digital and traditional marketing efforts support each other and your message is tailored to the medium. To incorporate Facebook into your hotel’s online marketing strategy, contact MDG Advertising today at 561-338-7797 or visit mdgadvertising.com.